Sunday 9 am – 12 noon. These new opening hours only affect the post office and NOT the shop, which will continue to remain open Monday to Saturday 6 am – 5.30 pm; Sundays and Bank Holidays 7 am – 12 noon. Johnsons is looking to extend the post office opening hours on the day of the Reepham Classic Car and Bike Festival on Sunday 30 September until 4 pm, which means the shop will also stay open until 4 pm. 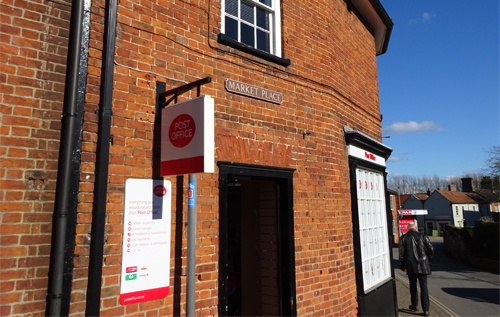 The post office will also extend its opening hours until 5.30 pm on Saturday 8, 15 and 22 December to cope with Christmas pressure, and plans to be open during the Reepham Festival of Light on Thursday 6 December.